A student of Alexandre Cabanel in Paris, where he lived until 1885, he showed his work at the Paris Salon four times and in the 1878 ExpositionUniverselle. In addition to his participation in shows in Athens, he also exhibited at the Alexandria Biennale (1903). In 1886 he was appointedprofessor at the School of Arts in Athens, where he taught until 1916. 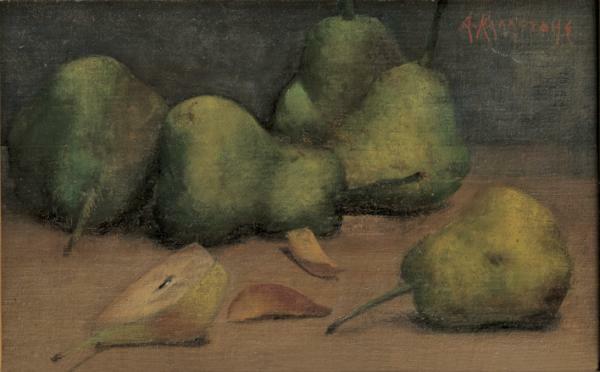 His still-life paintings reflect the spirit of academic Realism;he also made portraits.